Synopsis: In the Battle of Thermopylae of 480 BC an alliance of Greek city-states fought the invading Persian army in the mountain pass of Thermopylae. Vastly outnumbered, the Greeks held back the enemy in one of the most famous last stands of history. Persian King Xerxes lead a Army of well over 100,000 (Persian king Xerxes before war has about 170,000 army) men to Greece and was confronted by 300 Spartans, and several hundred Arcadians. Xerxes waited for 10 days for King Leonidas to surrender or withdraw left with no options he moved. 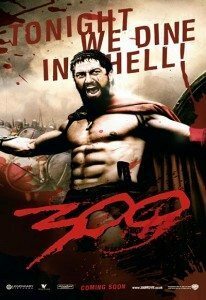 The battle lasted for about 3 days and after which all 300 Spartans were killed. The Spartan defeat was not the one expected, as a local shepherd, named Ephialtes, defected to the Persians and informed Xerxes of a separate path through Thermopylae, which the Persians could use to outflank the Greeks.